Channel bonding enables the latest multimedia-over-coax standard to deliver throughput up to 1Gbps. Actiontec’s new WCB6200Q range extender (pictured above) can increase the reach of your wireless network using the same coaxial cables that are used to distribute TV signals throughout your home. And since it supports MoCA 2.0 channel bonding, it can deliver up to 1Gbps of throughput over those cables. The range extender is also outfitted with an 802.11ac Wi-Fi radio that could eliminate any dead spots in your Wi-Fi network. 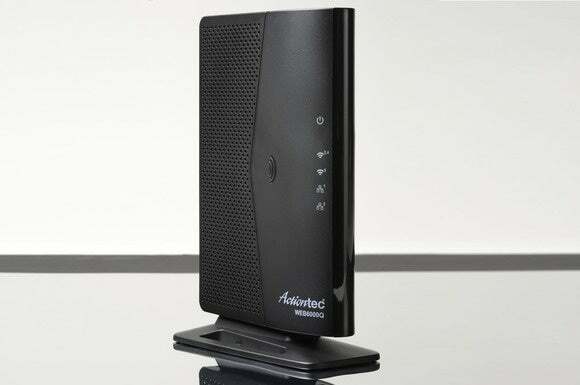 If you’re fortunate enough to have ethernet in your walls, Actiontec’s WEB6000Q range extender (pictured below) can augment or replace the Wi-Fi in your existing router or gateway with an 802.11ac wireless access point—though you have to connect the new device to your old router with an ethernet cable. The Wi-Fi radios in the MoCA and ethernet models are dual-band devices operating on both the 2.4- and 5GHz frequency bands. Actiontec’s WEB6000Q is an ethernet-based 802.11ac network range extender. Both range extenders deliver four transmit and four receive streams and support multi-user MIMO on their 5GHz 802.11ac networks to deliver wireless throughput up to 1.7Gbps. The 2.4GHz 802.11n radios are 2x2 devices delivering maximum throughput of 300Mbps. Both models also have a pair of gigabit ethernet ports. The Actiontec WCB6200Q is available directly from Actiontec for $150; it will be available at other retailers—including Amazon—beginning in October. 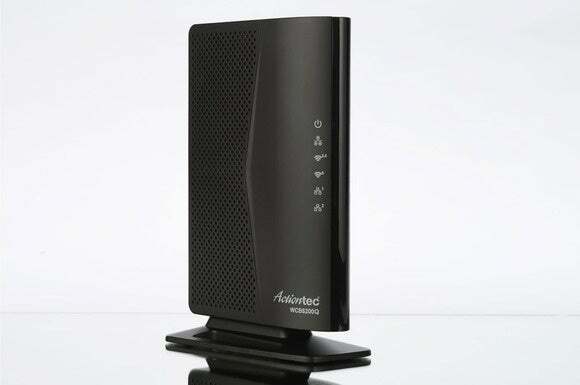 Actiontec did not provide pricing or availability information for the WEB6000Q, but a company spokesperson said it “will cost slightly less” than the MoCA 2.0 model. He also said Actiontec didn’t recommend using either product in homes with satellite TV. Cable-TV installations shouldn’t cause any problems.